5.a. 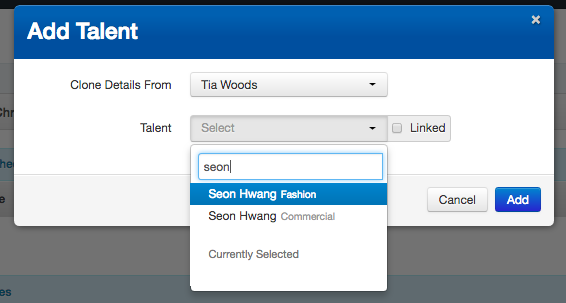 By clicking on the Linked box, you are linking the selected talent together. Which means that any changes made to one talent, will automatically be made to the others that were selected as linked. 7. 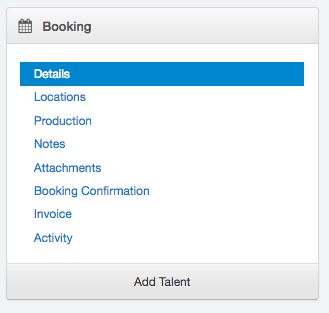 You are able to add new Talent at any point in the Booking by going back to the Add Talent bar. You can choose to add Talent either with blank details or if you choose to you can Clone details from previously added Talent. 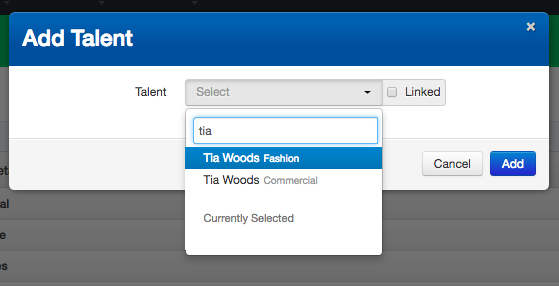 You can also choose to link any of the newly added talent. 8. Once Talent have been added to a Booking they will appear at the bottom of the main Booking box. 9. 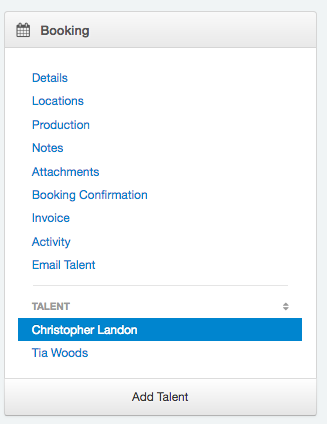 If talent are linked, a link image will appear next to their names. 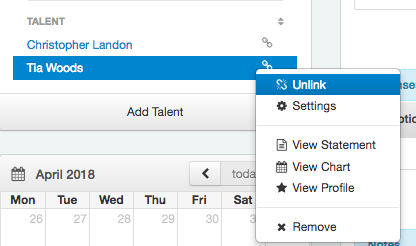 To unlick talent, right click and select unlink.